Technology filtered down from the A8 should make the latest A7 a strong contender here. Get past the oddball styling and the 6 Series GT starts to look surprisingly appealing. The car that kicked off the four-door coupé craze is now in its third generation. When we were all satchel-swinging school kids being programmed full of algebra equations and what date the Normans popped round for a spot of conquering, copying was an absolute no-no. Yet for car manufacturers, it’s quite the opposite. If one should invent some radical new genre of car – a new, ultra-stylish four-door coupé such as the Mercedes CLS, for instance – the accepted form is to bang out a facsimile toot sweet. Audi did just that in 2010 with its CLS replica, the A7 Sportback, and now there’s a new version, brimming with weapons-grade tech borrowed from the A8 luxury saloon. But wily old Mercedes was ready for that play with a new CLS, featuring the wow-factor interior from the current E-Class and some new engines, including a 2.9-litre straight six diesel. But what of the third member of Germany’s automotive holy trinity, BMW? Well, the suave 6 Series Gran Coupé has been axed, leaving the 6 Series Gran Turismo (GT) carrying the baton – at least until the 8 Series Gran Coupé arrives. Now, you could argue that the 6 GT is no CLS copy, because while the CLS and A7 favour style over practicality, the taller 6 GT boasts space aplenty but, to some fashionistas, looks about as dapper as a pear-shaped sideboard. However, it’s definitely a coupé with more than two doors, so it’s perfectly pertinent to this match-up. With ‘Gran Turismo’ featuring in the name of one of our contenders and pertaining to the ethos of all three, you’d expect a bit of mile-munching muscle, and that’s just what you get. Tickling any of their accelerators will generate effortless pace from little more than tick-over. Yet the more powerful CLS obliterates its competition, not just feeling the quickest but proving so in our tests. The 0-60mph sprint, for instance, takes 5.0sec – around a second faster than the others – and it’s the most rapacious in real-world exercises, too, such as whisking you from 30-70mph along a motorway slip road. 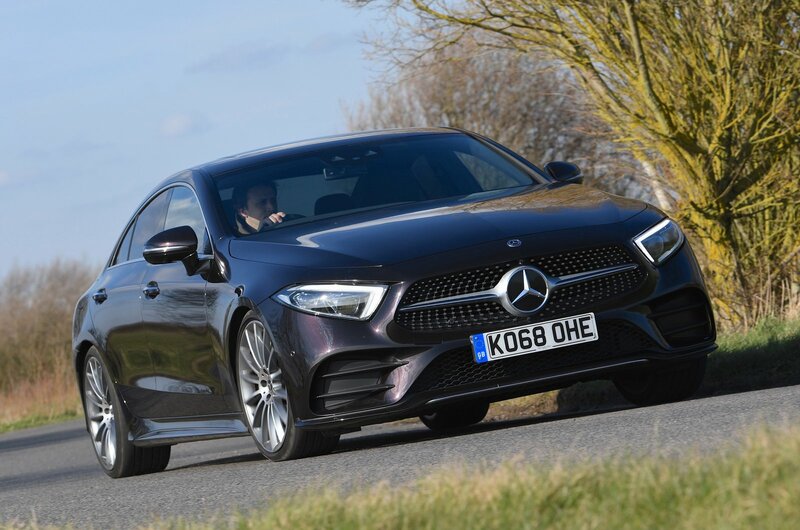 The CLS’s nine-speed automatic gearbox plays a part, swapping quickly into the right gear when asked and proving to be virtually as responsive as the 6 GT’s excellent eight-speed ’box. 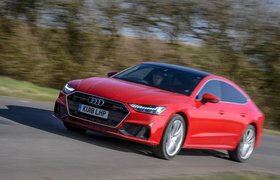 The A7’s eight-speed auto is poor by comparison; it dilly-dallies infuriatingly when you put your foot down, before finally ramping down a gear or two and launching you unceremoniously onwards. It’s exasperating but also worrying when you’re attempting an overtaking manoeuvre. At least the A7’s 3.0-litre V6 diesel revs pretty smoothly, although it’s not nearly as silver-tongued as the CLS’s motor, which stays velvety right through to its limiter. The 6 GT’s 3.0-litre diesel straight six delivers the throatiest growl, which is far from unpleasant. However, it does transmit a few more vibrations through to the controls inside than the others. The A7 is easily the most restful as the miles begin to rack up, though. At 70mph, its engine is muted and there’s barely any road noise, just a flutter of wind around the windscreen. Its ride (on optional £2000 air suspension) is the most comfortable, too: supple yet controlled over most blemishes, with the exception of sharp ruts, which can rouse a hefty thud. Along lightly rippled roads, things get more jittery in the 6 GT, but over really harsh bumps it’s actually the best resolved of the three. And tyre noise at 70mph is almost as well stifled as in the A7, although there is more wind noise. At such speeds in the CLS, you hardly hear any wind noise; perhaps that’s why you’re aware of more road noise than in the other two over coarse surfaces. It won’t have helped that our car was on optional run-flat tyres, and there’s every chance that regular rubber would mitigate some of the murmur. There’s a fair bit of suspension noise, too, and being the only car not on expensive optional air suspension, the CLS is the firmest over patchy, pockmarked town roads. 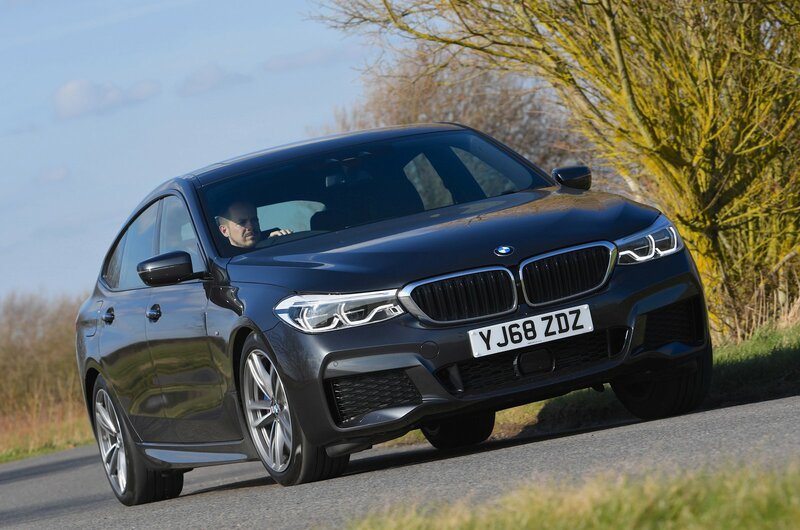 It settles down at higher speeds, though, to feel broadly similar to the 6 GT on a motorway, with just a little shimmy through your seat on ruffled sections. 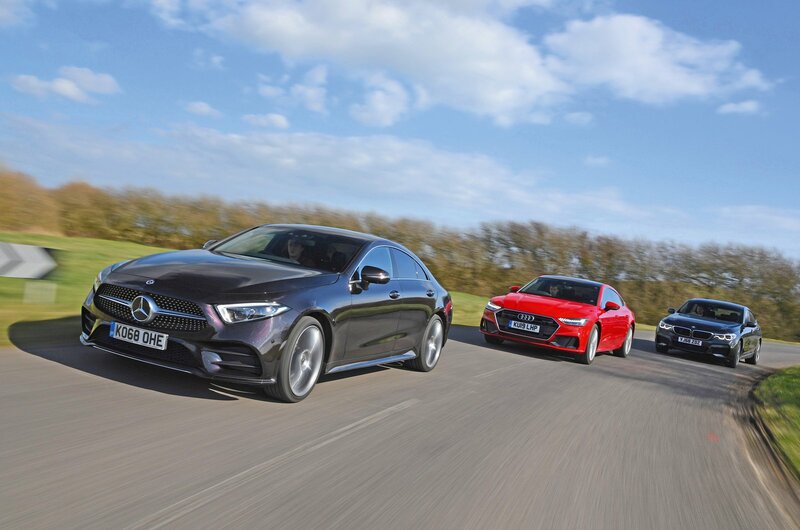 While none of these cars conveys the corning competency of Porsche’s Panamera, the CLS imparts a reassuring sense of grip as you turn in to a corner, decent body control midway through it and excellent four-wheel drive traction as you power out the other side. Also with standard four-wheel drive, the A7 displays similarly good traction, and in Dynamic mode it’s equally competent through fast, sweeping bends. 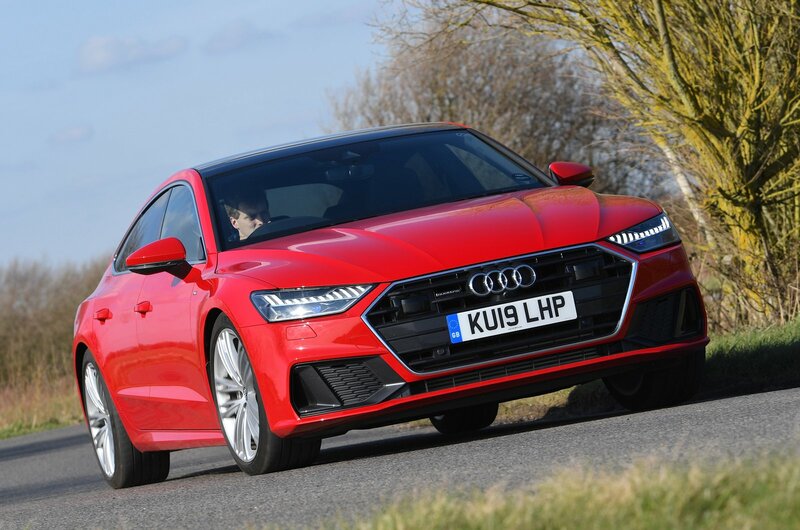 The optional four-wheel steering fitted to our test car makes the A7 the most agile at urban speeds but can make it feel a bit nervous above 30mph. At £1900, it’s an option we wouldn’t recommend. In comparison, the taller 6 GT leans like a yacht in a storm, and the dead-weight steering gives you very little confidence to push on. A lot of pedal travel also means the brakes feel the least reassuring, although the 6 GT still managed the second-shortest stopping distance from 70mph behind the A7, with the CLS third.